A team of young people from the South West College have been named People’s Prize winners of Northern Ireland National final of UK-wide money management competition. Harnessing Creativity’s Industry led seminar showcasing the diversity of Irish and UK creative enterprises and practices took place at The Dock recently. The number of entrepreneurs and small business owners in the economy is growing as many jobs created in recent years have come from the sector. 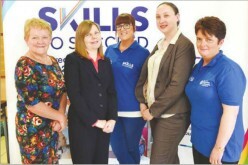 New entrepreneurs, women and the over 60s account for some of the increase as flexibility and the ability to earn extra income is attractive and often necessary. On Wednesday May 27th, I am hoping to hold a series of interviews for our BTEC Level 3 students, both year 1 and year 2. The reason for this is to give them the best possible opportunity to have as much ‘real-life’ interview practise as possible before they leave to further their education or career plans. 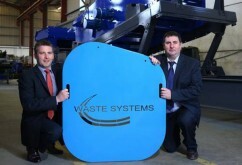 Tyrone firm Waste Systems is to double in size following an investment of half-a-million pounds. 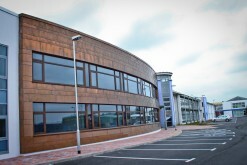 The Plumbridge-based company is to take on 16 extra workers, taking its overall staff to 30. A new tendering portal (eTendersNI) has been launched for public sector contracts – initially just central government – and then it will open up to the councils as well and universities. We are keen that local companies are aware of free face-to-face eTendersNI training taking place in Omagh next week (Tuesday 28 April) at the Silverbirch Hotel. The Generation Innovation Internship Prize is a new collaboration between two local entrepreneurs Tom O’Gorman and Jim Finnegan and the Northern Ireland Science Park. 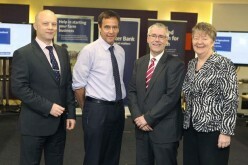 Around £1.5billion made available to the sector through its business lending programme. In today’s world, owning a small business isn’t enough. 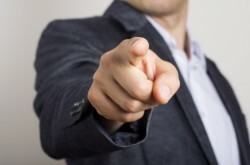 For your business to be successful, you have to build your own personal brand to help establish yourself as a household name and to bring in more business. Luckily, building your brand is easier than you probably think. week in the Strule Arts Centre. In a world dominated by distraction the ability to focus is an essential ingredient of success. The old-fashioned habit of giving our attention to one thing at a time is back in vogue, as the relationship between focus and success is rediscovered. But what does it mean for today’s digital generation raised on a diet of interruption and disruption? Agriculture and Rural Development Minister Michelle O’Neill today met with a group of Chinese interns at Stormont. Employees, for the most part, feel that they’re tedious. Managers openly complain about their ineffectiveness. 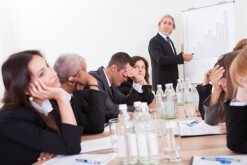 The worst part about meetings? Usually, they lead to more meetings. Western Social Enterprise Hubs cordially invites to their “Celebrating Social Enterprise Networking Event”. 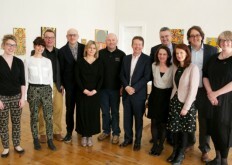 The pilot programme has completed its first year and the event is an opportunity to see what great work has been achieved and visit and listen to directors from the newly formed Social Enterprises – Collage Collective CIC, Sycamore Studios CIC and BKN which are based at Nugent’s Entry, Enniskillen. 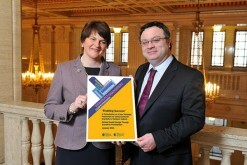 A government strategy has been launched to tackle Northern Ireland’s endemic problem of high economic inactivity. As any parent of small children will tell you, one of the biggest battles fought in homes across the country is over ‘screen time’. My kids seem to prefer screen time to anything else, and see computers, tablets and smart phones as being integral to their lives and to their futures.